I received a call from a journalist the other day, trying to get a picture on WHY UK garment manufacturers in particular parts of the country, are known for their bad practices. I said, the answer is simple, they are pushed by the buyers to try and achieve lower and lower cost prices that are in line with what the buyer might pay in China. And this is what is causing the problems. Because, in order to keep their staff in work and cover their overheads, the manufacturer is forced to produce at the buyers requested low price, which really doesn’t even cover the factory’s costs. The next season the buyer comes back and wants the product even cheaper. But the manufacturer’s costs have increased due to factors outside of their control, such as minimum wage increases, rent and rate rises and raw material costs. They reluctantly give in to the buyers demands in order to keep their machinists in work. The season after that, when the buyer goes back to place an order at yet another reduced cost, the manufacturer refuses. He says he can’t possibly go any lower. The buyer then moves on to another manufacturer willing to do a ‘deal’. But, in order to make the product at the stupidly unrealistic price, he is forced to cut costs by not doing things ‘by the book’. I’m not saying that either party is right or wrong. But, had the original manufacturer stuck by his guns in the first place and insisted on charging what he was worth, the whole situation might have been avoided. And had the buyer not pushed for unrealistic cost prices, but instead considered the other, non-cost-price related benefits of making in the UK manufacturer, such as shorter lead-times, greater transparency and easier communication, the whole situation could have been avoided. The sad thing is that I have seen too many good manufacturers go out of business because they have cut prices so low that they can’t even pay the bills. It is a similar situation with our Make it British Live! trade show. Every year our costs go up – this year the venue alone is costing £55,000 to hire. With the average stand price below £1,000 that means that I have to sell 55 stands just to pay the venue. Let alone the security, insurance, furniture hire, stand builders, electricians and staff that we need to put the show on. 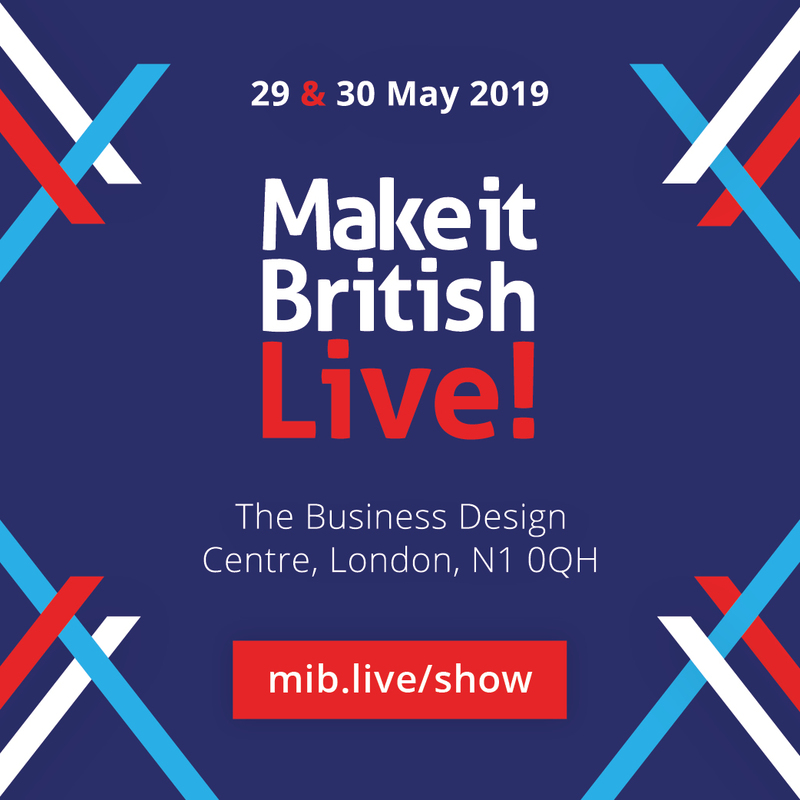 It’s just as well that most of my marketing for the show is done via the Make it British website, which attracts 125,000 visitors a month and is the main source of our event traffic, otherwise my promotional costs would be massive too! Yet despite all these overheads, and the low stand prices, certain exhibitors will still leave it until the last minute to try and get a drastically reduced price on a stand. If I gave in and agreed to it I know that the following year even more exhibitors would leave it to the last minute to book, thinking that they’d get a cheap price, and then there wouldn’t be a Make it British Live! show. 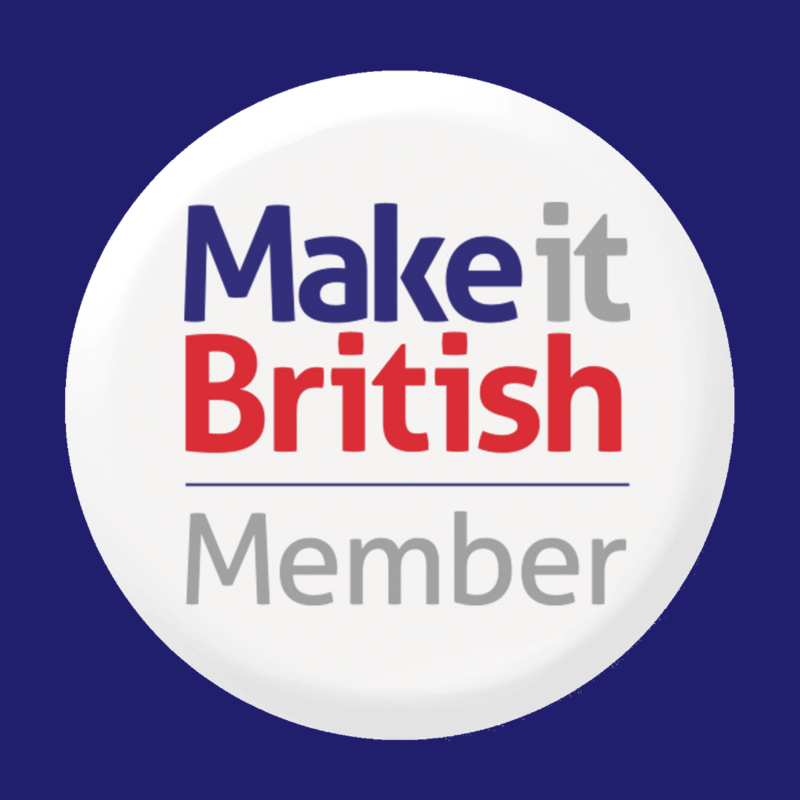 Which would ruin all the good work put in by everyone so far, and do nothing to help achieve our aims of supporting UK manufacturers to grow their businesses! What they also forget is that by using this tactic they miss out on the best location of stands that have been snapped up by those businesses that chose quality over price and booked first. So I urge UK manufacturers not to budge on their prices either. When you charge your true price you will naturally attract better customers. 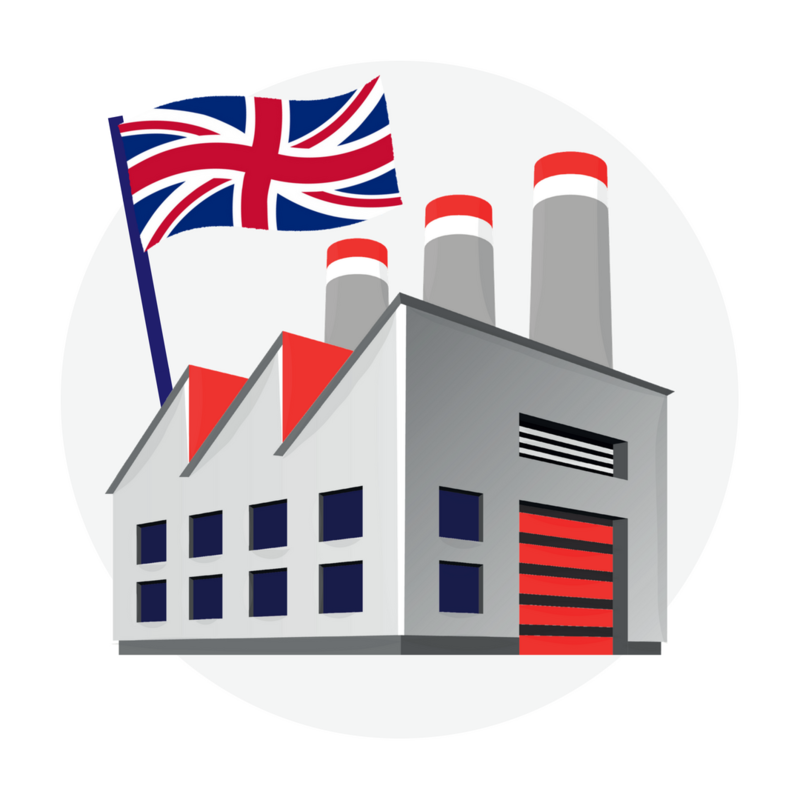 In the case of a manufacturer – this is a buyer who values the fact that they can make in the UK for benefits such as shorter lead-times, greater transparency and easier communication, which in return leads to greater profitability for everyone, as this article I wrote before illustrates. ← So you think we don't make clothing in the UK anymore? We make lighting which is a highly competitive, mature market where competition is white hot. Our customers like the fact that we are UK manufacturer’s as we can react quickly to their demands and also our engineering skills help them to solve problems which is one of the reasons they keep coming back. I couldn’t agree more – it is essential that we price correctly and don’t cave in to the big buyers. We have a policy of calculating the cost of a product, and keeping our margins as low as we can in order to give our retailers the best price we can manage. Buyers are always asking for a discount, but if we were to price high, in order to leave room for a large discount, the whole thing would just be a negotiating game. Once I explain our policy in simple terms and let the buyers know that the costs to us as a manufacturer in the UK are the same whether we make 1 or 10000 and so there is no sensible volume price break, buyers seem to accept it, and appreciate that the quality of the product and the flexibility of service that we can offer dictates the price. It is imperative that manufacturers sell their products under the C and D Incoterms, thus controlling the price level, and not offering E and F terms with arbitrary discounted prices. Quality and Value come first. Well said Kate, I manufacture my knitwear designs in the UK and the price is reflective of the fact that the provenance is known and the product has passed through the hands of highly skilled people paid fairly, working in an ethically run environment which can be anything from having the correct health and safety procedures in place to the hours worked and conditions they work in, being above and beyond that which I have seen in other factories I audited for quality systems and ethical practices whilst working for retailers and suppliers. The price not only means quality products but also gives peace of mind and ensures you are not enabling bad and illegal practices not to mention breaches in safety and basic human rights. Its win win for the consumer. Buy less, buy british and buy quality I say. 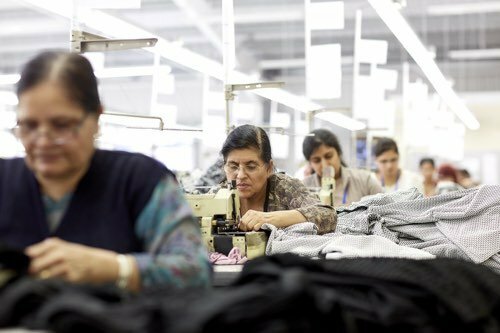 The basic problem for British manufacturers is that potential buyers of their products are free to ignore the ‘externalities’ of their decisions to buy products from low wage, low/non-existent wage, workplace and environmental regulation common in developing countries. This applies to both commercial and consumer purchasing decisions. This situation will continue until consumers understand that choosing to buy products from these sources has serious adverse social, economic, health and environmental consequences, not merely for the citizens of developing countries but also for our own people in this ‘race to the bottom’. How many people today realise that the Rana Plaza textile factory disaster and the resultant deaths of over 1,000 people can be attributed to these purchasing decisions. The solution ultimately lies in the hands of consumers and their purchasing power and a shift in values, attitudes and behaviours towards purchasing less, of higher quality and without the profound social and environmental impacts that result from ‘lowest price’ mentality. I’ve had the exact same problem with a few customers on prices. I’m an account manager at Luxury Box Ltd and we produced hand-made luxurious boxes constructed from materials around the UK. Due to the rise of the material cost and the increase of the wages, I often produce one completed unit with a price of roughly £3 (depending on the measurement of the box) but I’ve had clients, where they try and push for a price lower than £1. It’s just impossible. An eye opening article, about the direction and slow demise happening right before our eyes! I work at a company called 3D Print N Scan Ltd. Everyday people ask me for a reduction in price! It has become habit in the UK! Even when the price quoted is rock bottom! Brought on by cheap in quality, cheap in price, foreign parts that don’t last 5min. That the world has been flooded with. But like the saying goes! “You get what you pay for”! If you want cheap & cheerful, low quality, it will do parts, there is always someone out there who will do it! & cut corners,to provide you with the parts, to their spec not yours! Then you complain “it’s not up to standard”! Or “it only lasted 5min”! We don’t do it! If you choose us to produce your 3D Printed part, you do get what you pay for! You keep British people employed! & get shorter lead times! Just think for a moment! I like many have a Sheffield knife in my kitchen draw, from decades ago! it has out lasted any other knife! Because it is a quality product made with high quality steel, I paid good money for! Think quality! Think UK manufacturing! For everything else! don’t call us! We will call you! Couldn’t agree with you more Kate. Bargaining for lower and lower prices has become a habit in the U.K. What happened to valuing something for its quality? Manufacturers should not be beaten down but should hold their heads high and say, if you want us to manufacture for you, then this is the cost. It’s time to stand up to cheap working practises and devaluing . If you can’t afford to pay a genuine rate to cover a factory’s overheads then b…..off. It creates misery and stress and low self worth. There are decent people out there trying to make a living. Come on! !